Yesterday, I visited an elderly woman for whom I served as visiting nurse about a decade ago, and with whom I have maintained a sweet connection for years. We have kept in touch throughout the years, and although I no longer work in the city where she lives (about 45 minutes south), we talk periodically and I visit when I can. I had already explained to her that my wife and I have sold our house and are going traveling for the foreseeable future, and the need for a last visit was too strong to ignore or postpone until it was too late. A Puerto Rican woman about the same age as my mother, she likes to joke that she is my "Hispanic Mother", and for all intents and purposes, it's true. Obese and disabled, she keeps more than a dozen birds in various cages in her small apartment, and several of them are regularly perched on her shoulder (or on top of her head), eating sunflower seeds right from her lips. Her apartment is filled with knick-knacks (some of which I am guilty of giving her, I must admit), and our visit was punctuated with screams and applause as "The Price is Right" played loudly on the TV. Although maintaining long-term relationships with former patients can be tricky in terms of personal boundaries, this friendship has been consistently special and it has only been occasionally burdensome to maintain. Our connection is intimate and sweet, and there was just no way I could leave the area without a proper "adios". After an hour visit, we realized that it was time to say goodbye, and we hugged and kissed each other on the cheek repeatedly. After our second hug, both of our faces were wet with tears, and she held both my hands in hers as she gave me her abundant blessings for a long life, a joyful and wonderful journey with my wife and my dog, and she thanked me from the bottom of her heart for my friendship over the years. I left the stuffy apartment and emerged into the bright October day, stopping under a resplendent tree bedecked in autumnal yellow. My heart was filled with love, tears streaming down my face, and I gave thanks for the heartfelt and soulful connections that being a nurse has provided me over the years. As we prepare to leave this area where we've lived for seventeen years, there will be more tearful goodbyes. My "Hispanic Mother" is one who evoked very deep and bittersweet tears, and I have no doubt there will be more to come as we draw nearer to our very imminent departure. Change of Shift, Direct From BlogWorld Expo! Here is a link to the latest edition of Change of Shift, sent from the BlogWorld/NewMedia Expo in Las Vegas by none other than Change of Shift founder, Kim of Emergiblog. Tomorrow is my last day at work. I am leaving behind the local health department, the furor over H1N1, my coworkers, my position as a Public Health Nurse, and the network of professional colleagues that I have created over the last 12 months. My work as a nurse is coming to a temporary close as my wife and I prepare to launch on a cross-country adventure with no fixed end date and the open road ahead of us. I am so impressed with my public health colleagues, the local school department, and all of the people with whom I have been so lucky to collaborate. H1N1 has been a rallying cry for many disparate entities in towns, schools, and cities across the country and around the world, and the collaborative nature of many of these relationships underscores how professionals from very different areas of expertise and education can work together for a common cause. I am excited and nervous about how this next stage of life will develop as my wife and I take our Laughter Yoga business on the road and I launch a new professional pursuit as a health and wellness coach. Please stay tuned for updates as I build my new website and officially begin work as a coach, while Digital Doorway continues to be a place where I share my ideas, adventures and thoughts along the way. For those of you not yet aware, my wife and I are in the midst of radical change in our lives. In six days, we will quit our jobs, leave our New England home of seventeen years, and begin traveling the country via RV in search of adventure and a new home. This journey will take us down the East Coast via Connecticut, New York, Pennsylvania, New Jersey, the DC are, Virginia, the Carolinas, Georgia, Tennessee and Florida, and then across the Gulf Coast through Mississippi, Louisiana and Texas. We will then proceed through the southwest US and up the West Coast and beyond. Along the way, we will be visiting friends, family and intentional communities, always with an eye for a place that feels like home. If you have a suggestion for a place to visit, please let me know! We will be posting about our experiences on our new travel blog, Mary and Keith's Excellent Adventure, so please consider visiting and becoming a follower of our blog (as well as this one, of course!). On the road, we will be looking for opportunities to offer Laughter Yoga to workplaces, hospitals, senior centers, cancer centers---and group of people who would like to learn how to laugh for no reason! Our website, Laughter Incorporated, explains Laughter Yoga in detail, and also outlines the services that we offer. Your profesional referrals are welcome, and if we are coming to your town, we just might offer a Laughter Yoga session to you and your friends for a modest fee! In addition, I will soon be launching a new business as a Health and Wellness Coach, so please stay tuned for an announcement about this exciting development in my professional life. Thanks for tuning in, and please stay connected with us via Digital Doorway, Keith and Mary's Excellent Adventure, Laughter Incorporated, and last but not least, The Adventures of Bob the Nurse. As the flu season heats up and the weather cools down, the media are beginning to more frequently report deaths from H1N1 influenza. Although overall influenza-related deaths are still within the expected range for this time of year, there have been 60 pediatric deaths from H1N1 reported to the CDC since April, including 11 this week, and hospitalization rates are indeed higher than normal. In the public health arena, many of us are wondering just how the public will react to these reports and the growing numbers of children who are ill or dead. While it's true that an average of 36,000 Americans die every year from the flu, the majority of these individuals are usually elderly or otherwise compromised, and if the number of children who die continues to climb, anxiety and fear will rise proportionately. The government claims that the H1N1 vaccine is safe, and they are urging every pregnant woman and individual between the ages of 6 months and 24 years to be immunized, among others. I have heard projections that only 20% of eligible Americans may actually elect to receive the new vaccine, but I am not certain how accurate that estimate is. When the vaccine begins rolling out to local health departments, schools, medical providers and municipalities next week, it remains to be seen how the public will respond to well-publicized offers of mass vaccination against a novel disease. Of course, at times like these, the public can react in many ways. A small percentage feel that the government has overreacted, blowing the risks of H1N1 out of proportion. While this could potentially be the case when the book is finally closed on H1N1, there would be even greater consternation if the government underreacted and millions needlessly died. Hurricane Katrina taught a mean lesson when it comes to government negligence, and it appears that the Obama Administration does not want to repeat such a disastrous mistake at a time when the stakes are so high. Meanwhile, other segments of the population worry and fret over every sneeze and cough, while others simply wait to be told what to do. Most, I feel, are simply watching the headlines, testing the winds with a tentative finger, and biding their time as the situation develops and changes. So, the reports of deaths continue to roll in, cases are diagnosed daily, and the entire infrastructure of the global community itself is potentially at risk. You can wager any amount of money that massive contingency plans have been made by most every government on earth, contingency plans that focus on how crucial infrastructures can continue to function in the face of widespread illness. Plans for continuity of operations are now being drafted by hospitals, newspapers, factories, schools, and many companies and organizations that realize the potential for massive disruption if widespread illness should visit their particular organization. Just imagine if you run a high school. What would you do if 50% of your teachers were ill, or 75% of food workers, custodians or bus drivers called in sick? Woe to those who leave their plans undrafted. The wave of H1N1 is indeed beginning to swell, and just how powerful and far-reaching that swell will become remains to be seen. To be sure, it will be a historic flu season in many ways. Whole economies may be impacted greatly by the disease, schools may be closed, factories may lay idle, and governmental and non-governmental organizations may be crippled by absenteeism and illness. And when it comes to the children, we can only hope that the number of deaths is kept to a bare minimum in the larger scheme of things. 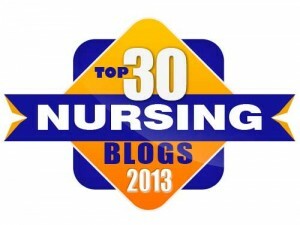 Change of Shift, the blog carnival where nursing meets the web, has emerged once again on Emergiblog. Stop on over!